A cruise in Greece surely is the apogee of Mediterranean sailing holidays: the Aegean and the Ionian seas offer more islands and coastlines than all other mediterranean countries put together. Moreover, due to the vast fleet - mainly in Athens - the sailing yachts can be chartered relatively cheap. On the other hand the luxury sailing holidays on gulets (motorsailer yachts) are often more comfortable and cheaper to rent from Turkish charter companies, primarily out of Bodrum. The typical blue cruises and blue voyages take place along the Turkish coast (Turquoise coast), which is adjacent to the Dodecanese of Greece. 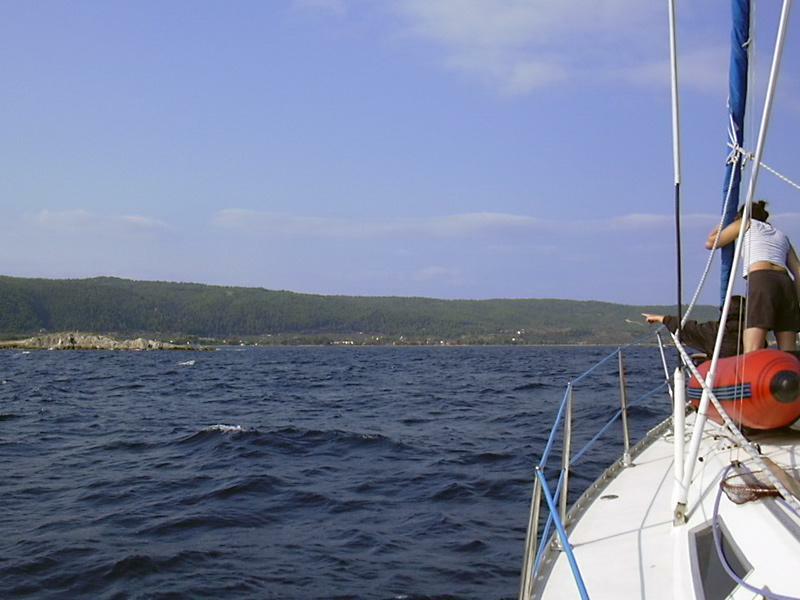 From Bodrum you can combine both countries on your mediterranean sailing holidays quite nicely. These Turkish motorsailers (Greek name: Caiques) can also be used for a Greece only sailing holiday through the Dodecanese (Symi, Kos, Rhodes, Nisyros) or even de Eastern Sporades (Samos, Chios, Patmos, Ikaria), but won't venture out into the Cyclades. To enlarge your sailing area and make it a true Mediterranean sailing holiday, you simply need more speed and engine power. For this you should look at the modern version of the wooden gulet: the megayachts and superyachts, which easily go three times as fast allowing you to cover for instance the Cyclades, Eastern Sporades and the Dodecanese in one week. Note, that a larger cruise ship is not practical: 1) you won't have the crew all for yourself 2) the ship is too large to fit into the smaller picturesque fishing ports and anchorages and will only dock at the huge commercial Mediterranean ports. Furthermore, you will have no say in the itineraries! Therefore, 3 big reasons why you should prefer a gulet sailing holiday in the Mediterranean over a simple standard cruise on a cruise ship.
.: Back to our Mediterranean sailing holidays in Greece :.